The Guitar Column: Neal Schon's Steinberger Transtrem GM Double Neck on eBay! Neal Schon's Steinberger Transtrem GM Double Neck on eBay! 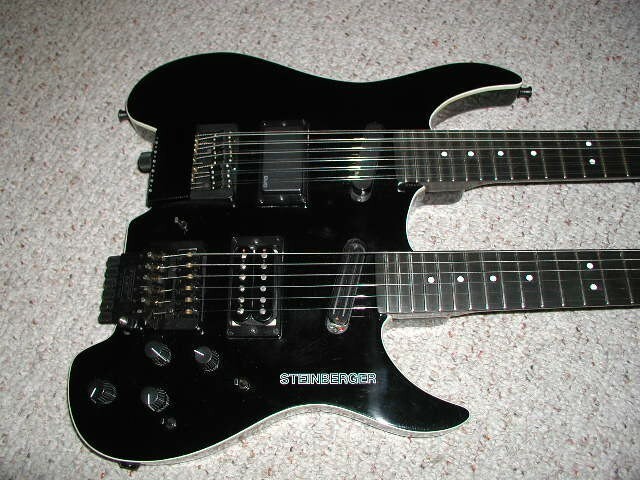 Here's an eBay listing for a rare Steinberger Double Neck Transtrem GM. And one that was apparently previously owned by Neal Schon, no less! Many of us know Ned Steinberger as the cat who introduced the revolutionary all-plastic composite Steinberger L2 bass and GL series guitars in the early '80s. Both bore a resemblance not dissimilar to a boat paddle. 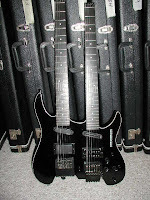 To increase mass market appeal, the GM guitar model was introduced in 1987 with a double cutaway all-maple body and a bolt on neck made of a composite material. Y'know, something you could cradle comfortably in your lap and wrap your arm around. We guitars players are such a romantic lot. 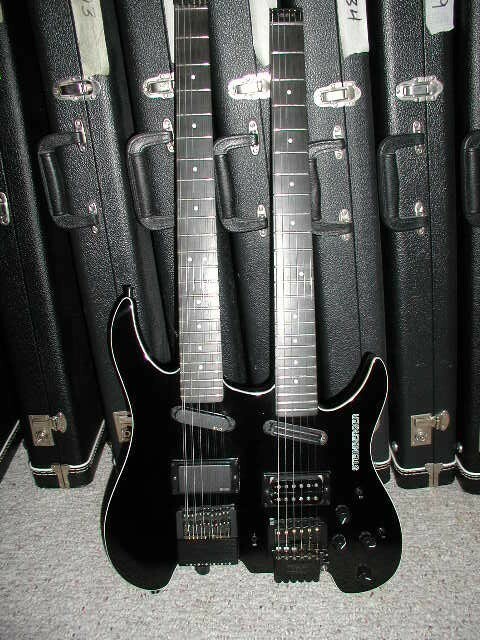 This particular double neck Steinberger was purchased by its present owner in 2004 from Schon's guitar broker. Custom built at Steinberger Sounds Newburgh, NY factory in the '80s, this instrument features Steinberger's Transtrem vibrato system on the 6-string neck and a fixed bridge on the 12-string. A cool Steinberger doubleneck gig bag and assorted paperwork accompany this axe. As always, do the research and ask the necessary questions before committing! This looks rockin'! I'll have to consult with my chiropractor Carlton North neck pain before getting it though.